Happy Throwback Thursday! I was planning on writing a retrospective about the top climate entries of the previous blogging year today, but I decided a different kind of throwback was in order. Just as I do for "The End of Suburbia," I have a version of the worksheet for "Treasures of the Earth: Power" that my geology students fill out as they watch the show. It's shorter, as it's missing the prompts for Commoner's Laws and values, as well as three questions from the Environmental Science version replaced by one for the geology students. Follow over the jump to read the worksheet. 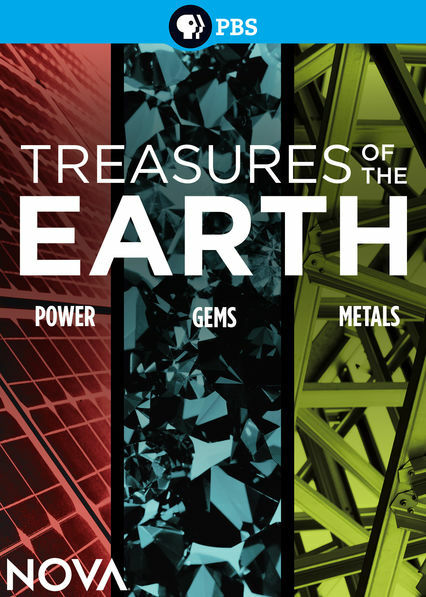 In this class meeting, you will watch Treasures of the Earth: Power, a 2016 episode of the PBS series Nova written, produced, and directed by Doug Hamilton. It is the last segment of a three-episode examination of Earth’s mineral resources, the other two parts focusing on gems and metals. The program examines the history, current use, and problems of fossil fuel use and explores alternatives to fossil fuels, including nuclear, solar, and other renewable sources of energy. As you watch the movie, answer the questions below. You must answer all questions correctly for the full twenty-five points. 1. For which purposes do humans use fuel from the Earth? 3. Why is coal being used less now than it had been? 4. How much of U.S. electricity does coal produce today? 5. Which country or continent has the world’s largest reserves of coal? 6. In what environment did coal form? 7. Which element makes up coal? 8. Burning coal converts chemical energy into what other kinds of energy? 9. What are the effects of burning coal and oil on the Earth’s atmosphere? 10. What percentage of the world’s energy comes from oil? 11. How much coal would be needed to replace a tank of gasoline? 12. What are the expected effects of global warming? List three examples. 13. Why is plastic a challenge for disposal? 14. What are the advantages of natural gas compared to other fossil fuels? 15. How much energy reaches Earth and how much energy does civilization use? Answer both parts of the question. 16. What element is extracted from sand? 17. Solar panels are increasing by what percentage every year? 18. How are the Chinese attempting to solve a fundamental problem with solar energy? 19. How many deaths are caused by China’s air pollution every year? 20.Name two other renewable energy sources besides solar power. 21. How much of the world’s electricity does nuclear power provide? 22.What are the problems with nuclear power? Name two. 23.How much energy is in a pound of uranium? 24.What are the advantages of nuclear power? List two examples. 25.How much is energy demand expected to grow by the end of this century? Watch The End of Suburbia on reserve at the library. For twenty points, answer the questions in the worksheet, which is in the lecture notes. For ten more points, write a one-page essay comparing and contrasting the problems and solutions described in The End of Suburbia with those in Treasures of the Earth: Power. Include how optimistic the two shows are about the solutions. Program description from PBS: Drill down to discover the treasures beneath our feet that power our world. Fossil fuels–coal, oil, and natural gas–powered the industrial revolution and allowed us to build a way of life that many cherish today. Personal cars, planes, lights, hot showers–all of these are gifts from our fossil fuels… but they have a dirty dark side in that they are polluting the planet. What is it about these natural resources that has allowed them to fuel our civilization? What secrets are locked in their molecules? Where did that energy come from, and can we find alternative energy resources that come in a cleaner form? The hunt is on for new treasures that might allow us to power our modern way of life without damaging the environment. Join NOVA as we explore the resources that both power and pollute, from modern-day oil prospecting in California, to a mega-city utility company struggling to keep the lights on during hot summer days, to China where an engineer strives to solve one of the greatest obstacles to the success of solar power. Travel the globe to see how our energy treasures are changing—and if they can keep the lights on. I plan on sticking with my scheduled topic for tomorrow's entry, nominations for "The Last Jedi" at the Saturn Awards for Star Wars Day. Stay tuned. where the answers at tho??? Click on the link to the other worksheet in the first paragraph and watch the video, which is still there. If you pay attention, you'll get all of the numbered answers. Sorry, your spam is off-topic, so I'm deleting it. Bye!